Furuno’s GV-86 GPS receiver chip with its dead-reckoning DR/GNSS module will be integrated into Clarion’s NXR16 car navigation systems for the auto-leasing and car rental industries. The GV-86 features a dead-reckoning-enabled GNSS receiver, which receives concurrent GPS, SBAS, and QZSS satellite signals. The dead-reckoning capability allows the unit to provide positioning while receiving multiple GNSS signals in such harsh environments as tunnels, urban canyons and underground parking, the company said. 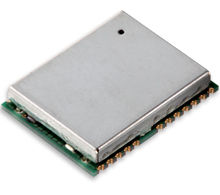 GV-86’s dead-reckoning module combines information from a gyro and velocity/vehicle speed sensor to provide accurate positioning information. GV-86 features fast time-to-first-fix (TTFF), improved noise tolerance, and is Galileo-ready, according to Furuno. Customers may choose from three different sensor configurations: three-axis gyro sensor + three-axis accelerometer + speed pulse; one-axis gyro sensor + three-axis accelerometer + speed pulse; or one-axis gyro sensor + speed pulse. The unit’s dead-reckoning positioning accuracy can be improved with feedback from the map-matching feedback function within the navigation application. Clarion’s recently announced NXR16 car navigation system supports multiple languages and displays to assist a growing market of foreign customers who use company-equipped rental cars.